This action enables you to compile Microsoft VB.NET Projects (.vbproj) produced by Visual Studio.NET without having Visual Studio installed on your build machine. 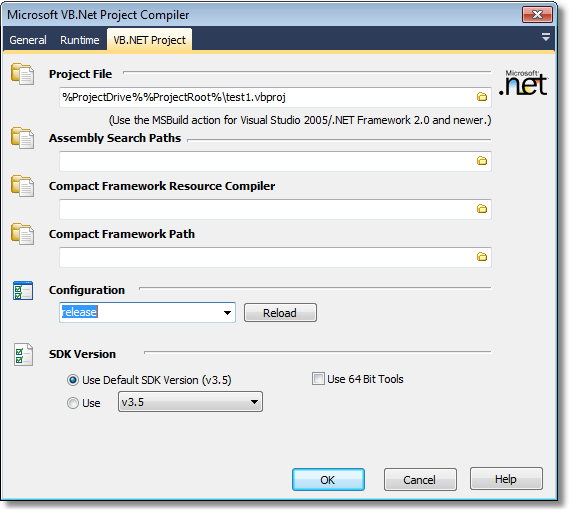 To build VB.NET projects from newer versions of Visual Studio / .NET Framework, use the MSBuild Project action. Select the .vbproj file to build.